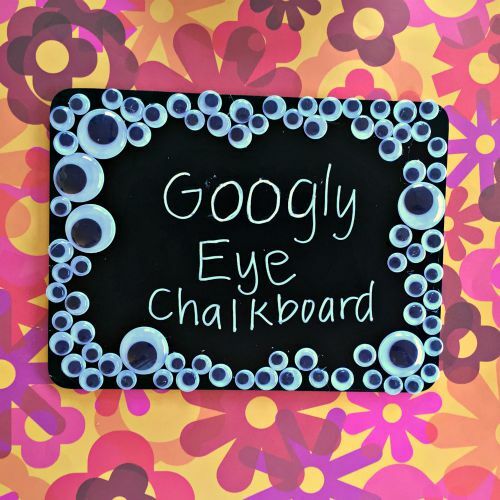 Back to School requires eye-catching accessories for your locker or dorm room door, like this Googly Eye Chalkboard, made with Aleene's The Ultimate glue and some dollar store supplies. Find out how quick and easy this back-to-school craft is! 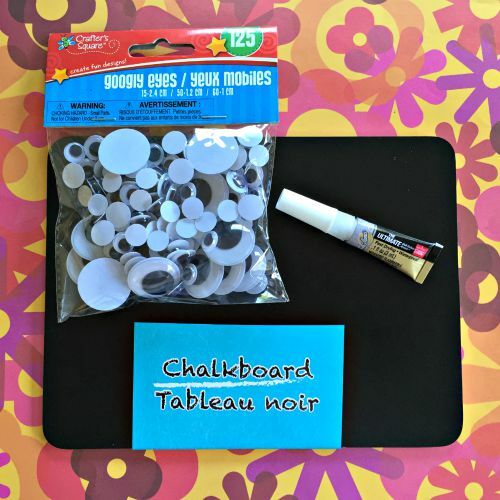 I spent a total of $2 at the dollar store picking up the chalkboard and eyes for this craft! If you are going to hang it in your locker, you should also pick up some strong button magnets to glue to the back of the chalkboard. 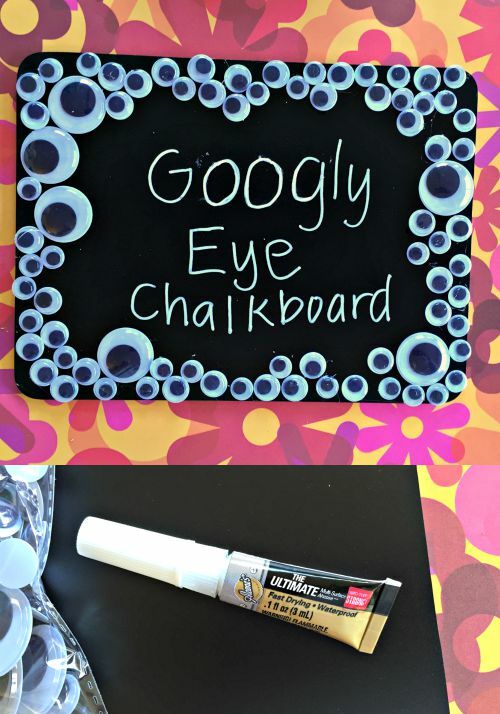 Glue googly eyes around the perimeter of the chalkboard using Aleene's The Ultimate glue. You can also use Aleene's Instant Tacky for this craft. Allow glue to dry, and add magnets to the back of the chalkboard, if desired. Once glue is completely dry, hang your chalkboard up in your locker or on the outside of your dorm room. Use a chalk marker for bold, vivid, yet washable writing.